The myth that the Western Sydney Wanderers are a well-supported club will be exposed on Saturday night when practically none of their fans turn up at the Sydney Cricket Ground. Judging by the sluggish ticket sales in the away section for Saturday night’s derby at the SCG, Western Sydney fans have obviously decided the best way to support their team this season is to not support them at all. 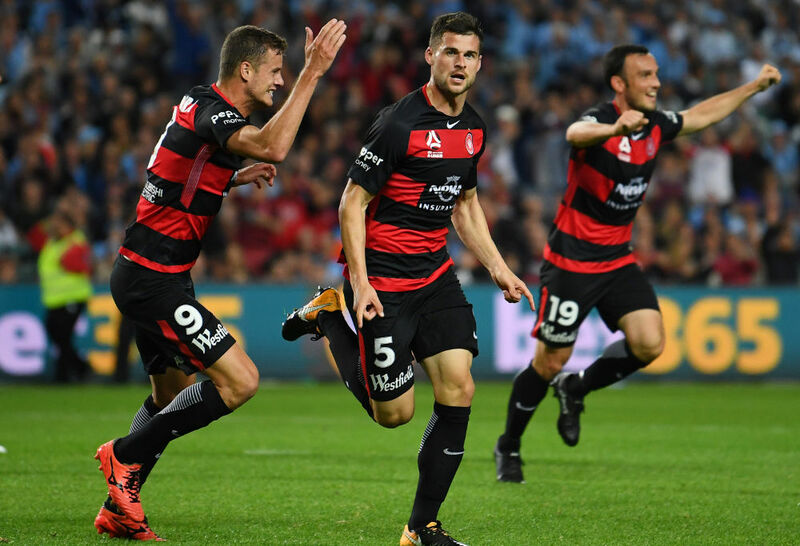 It follows on from the Red and Black Bloc’s boycott last season of the remaining two A-League fixtures of Western Sydney’s premiership campaign when the Wanderers were fighting desperately for a place in the finals. They love a boycott, Wanderers fans. About the only thing consistent with their support is the fact that it regularly fails to materialise. Little wonder Sydney FC boast the bigger crowds and better atmosphere. The emergence of Western Sydney helped re-energise Sydney FC’s support base, but after so many years of Sky Blue dominance, the relationship between the two clubs is now akin to a big brother who pays his loudmouth little brother zero attention. So small are Wanderers’ attendances nowadays that they should probably be talked about in the same breath as crowds in Gosford and Wellington, rather than mentioned alongside some of the A-League’s genuine heavyweights. And as for the atmosphere from the Wanderers end, it’s non-existent these days. Melbourne Victory fans produce the loudest support in the A-League, and perhaps not coincidentally, they just signed the best player in the competition in Keisuke Honda as well. Melbourne City boast the best academy. Adelaide United boast the best stadium. Brisbane Roar fans have the best excuse for wanting to fling VAR technology into the Brisbane River. But what are Wanderers fans best at? Complaining. They’ll flail away furiously at their keyboards over the contents of this column. They’ll rage against the machine in the comments section, and share links on password protected forums swearing a swift vengeance. They’ll invoke the wrath of a thousand football gods, and still find time to remind everyone that their club won the AFC Champions League four years ago. But they won’t get on the train and go to the Sydney derby. And that, really, is the A-League writ large for the last couple of years. Everyone says they’re a fan, but when it comes time to actually prove it, many of the competition’s most vocal antagonists exist in the online world only. Don’t like that characterisation, Wanderers fans? Then get off your keyboards and go to the football! For the record, I don’t actually have a problem with the Wanderers or their support base. I’m simply using all this furtive online talk that their fans are boycotting the latest Sydney derby because they don’t want to watch it at a cricket ground – that must be why they’ve boycotted Spotless Stadium for these many years – as an example of the type of mindset that ensures football will forever remain a peripheral sport in Australia. The penny has dropped for some clubs – like Brisbane Roar, to name one example – who have used the off-season to rebuild their fan base rather than rest on their laurels. And the derby itself should be a cracker, with the Wanderers no doubt putting up a much sterner resistance than they did in their recent FFA Cup semi-final. I hope a few thousand Wanderers fans ultimately do make their way out to the Sydney Cricket Ground for what is an important game for both teams. Those who do deserve infinitely more credit than the plethora of posers who complain endlessly about the A-League without doing a single thing to support it. But when Sydney FC run out in front of a sea of blue on Saturday night, it will simply prove once again which team truly owns the city. Prove me wrong, Wanderers fans. Prove me wrong.